Welcome back to Garden News! All winter at Log House we’ve enjoyed researching new plants and creating fresh collections for the 2011 season, but now we’re glad to be getting out in the garden a little more. As days lengthen and temperatures warm, we’re seeing signs of spring each day: daffs blooming, robins chasing worms, swallows looking for nests…and things are growing – FAST! This means any overwintering (or early-planted) asparagus, peas, garlic, onions, and greens are taking off, but it also means weeds and grass seem to double in size every day or so. The same daylight that encourages the weeds, though, gives us an extra hour or so to go pull a few weeds after dinner each night, rather than waiting for one free weekend to do everything. We’ve even had a few nice stretches of sunshine, the best motivation for getting out there to plant spring vegetables or prep beds for warm-season plants. Still too cool for peppers or melons, spring is ideal for several other vegetable families, especially greens and alliums. 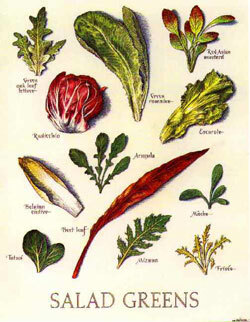 Watch your garden center for flats full of crisp, fresh greens like endive, mustard, and lettuce. Kale is always an easy, productive, and nutritious green, but really thrives in the cool, moist sun-and-rain of spring – grow a mix of ‘Dwarf Blue Scotch,’ ‘Red Russian,’ and ‘Winterbor’ and harvest young leaves for a colorful salad, then grow some plants to a larger size for cooking greens. We also have a new arugula available now: ‘Myway’ matures extra early for mild-flavored, deep green serrated leaves to add peppery flavor to spring salads. 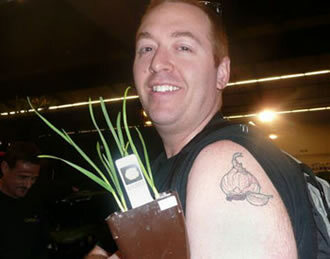 It’s not too late to get garlic starts in the ground for a harvest this summer. We’ve got a garlic for everyone, from rich but mellow ‘Georgian Crystal’ to fiery hot ‘Duganski’; from the huge easy-to-peel cloves of ‘Music’ to the long-storing gourmet favorite ‘Silver Rose’; and from Northwest heirloom ‘Oregon Blue’ to spicy ‘Carpathian’ from the mountains of Poland. April is also a good time to plant strawberries or artichokes, both of which will reward you with early-summer delicacies for several years. 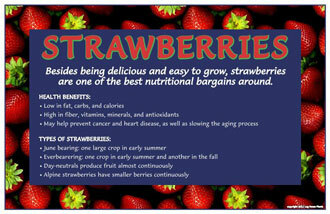 We’ve expanded our strawberry offerings this year, with a good selection of June-bearing (produces one large harvest, ideal for freezing or making jam), everbearing (one summer crop and one fall crop), day-length neutral (almost-continuous production), and alpine (continuous production of small but intensely flavored berries) varieties. To let the plants get well-established, gardeners should pinch off blooms of everbearing and day-length neutral varieties until July 1st, and should pinch off all blooms of June-bearing varieties the entire first year. Watch for our new, specialty artichokes, including ‘Violet de Provence,’ a French heirloom with gourmet flavor and beautiful purple-tinged buds – as well as reliable favorites like ‘Green Globe,’ a productive variety with large, flavorful hearts. For more information about grafted vegetables check out the photos, videos, and links on our grafting page. We’ll send out a Garden News once or twice a month to keep you up-to-date as each new wave of our seasonal favorites are ready to ship and plant. 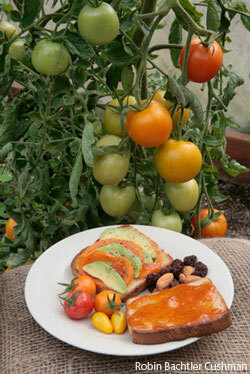 Next time, we’ll highlight some of our 2011 new introductions, both ornamental and edible, including grafted vegetables. And remember you can link from our website to Green Gardening with Ann Lovejoy, a practical and entertaining blog with seasonal tips and musings about gardening in the Pacific Northwest.